One Christmas, when I was in elementary school, I received a Lifesavers Sweet Storybook as a gift. When I opened it up, inside were twelve rolls of Lifesaver candy ⎯six on each side of the book with each roll a different flavor. I treasured the sweet candy book as if each candy was a little jewel. Being someone who still had Halloween candy at Christmastime, I'm sure I had the little candy book for a good long while. I hadn’t thought of this sweet gift for years, but during the last few Christmas holiday seasons, I have seen Lifesaver Storybooks popping up in many of the drugstore advertising flyers⎯although, there are now only six rolls of Lifesavers in each book. Whenever I see a picture of the storybook, I smile and feel a slight glow come over me. I think about how much I enjoyed this simple, inexpensive gift. 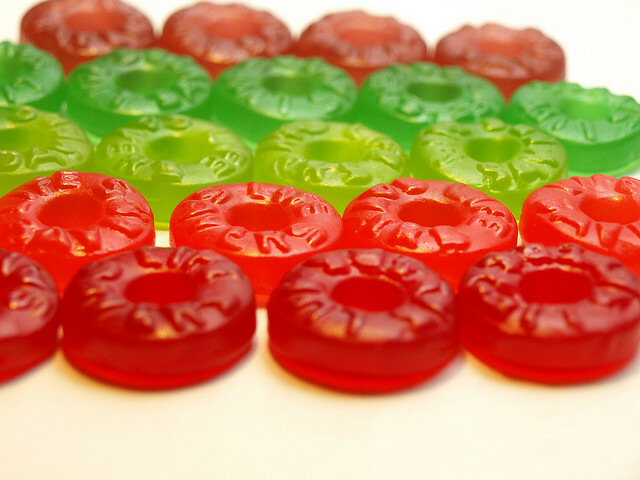 I don’t remember the last time I had a roll of Lifesaver candies, and I only received the Storybook one Christmas, but it must have made a real impression on me. I did not have the Lifesavers Storybook on my Christmas list that year. I have no idea what was on my list or what other gifts I received, but I do remember my little candy book. I share my sweet story to remind us all, simple is always best. Oh, and my favorite little jewel⎯butter rum!